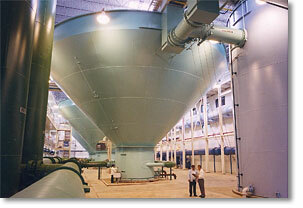 CB&I is the original provider of the ClariCone® solids contact clarifier for potable water and wastewater treatment. CB&I’s experience and know-how is unparalleled with well over 300 ClariCone clarifier installations on a variety of applications, treating in excess of 700 million gallons per day. As the only supplier that provides complete engineering, fabrication, construction and commissioning on an in-house basis, CB&I has the resources to deliver each project successfully. We’ve been providing complete design-build services for the water industry for more than a century. We are one of the few EPC companies that have the integrated resources to perform nearly all aspects of a project—from front-end design through construction—ourselves. This single-source approach helps us control quality, manage costs and deliver superior results. In fact, a number of our ClariCone clarifier projects have garnered awards for engineering excellence from the American Consulting Engineer’s Council. The economics of good design. The ClariCone clarifier’s design makes it more economical to operate and maintain than other water treatment systems. Mixing, tapered flocculation and sedimentation all take place within a completely hydraulically driven vessel. They are constructed entirely without mixers, scrapers, recycle pumps or other continuously moving parts, eliminating the need for oil changes and gear overhauls. The ClariCone clarifier maintains a dense, suspended, rotating slurry blanket that provides excellent solids contact, accelerated floc formation and exceptional solids capture. Thus, chemical usage is reduced and O&M costs are minimized. The conically shaped concentrator maximizes the slurry discharge concentration and allows plant personnel to visually monitor slurry discharge. Space savings — The area beneath the ClariCone clarifier’s conical shell can be used for other equipment, and the small diameter of the lower cylinder reduces foundation costs. Stability — The large mass of retained slurry and unique helical flow pattern prevent short-circuiting and resist upsets. Intermittent operation — Following a shutdown, the ClariCone clarifier can be restarted in minutes, compared to hours or days for conventional units. We also offer our patented FiltraCone™ modular water treatment system. The FiltraCone system brings together the ClariCone calrifier with self-backwashing peripheral filters in a fully enclosed system, providing exceptional treated water quality with minimal maintenance, power use and cost. 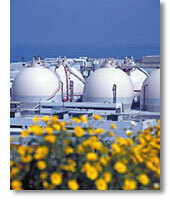 CB&I began offering ESD™ Egg-Shaped Digester systems in 1989, and we’ve made a number of advancements over the years. We introduced the use of steel instead of concrete for faster and more economical digester construction. We also designed an innovative jet pump mixing system and an internal discharge system to improve reliability and reduce maintenance costs. Our specialty is providing complete design-build services on a lump-sum, turnkey basis for both new digester construction and revamps. 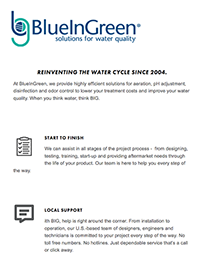 As a true EPC company, we are a single-source provider of process technology, systems design, fabrication, installation and start-up services for water customers all over the world. Our experience and project expertise result in reduced costs, better quality control, and shortened project schedules for our customers. Making a good thing better. We’ve designed and installed more than 70 ESD systems. We design digesters that utilize either a conventional mechanical draft tube mixing system or our proprietary jet pump draft tube mixing system. The jet pump system requires less energy for mixing and provides draft tube mixing without internal moving parts. We’ve also developed an internal liquid discharge system that utilizes gas-tight, positive-pressure containment. These innovations add up to lower operating and maintenance costs, increased reliability and minimized odor emissions for our customers. Efficient treatment systems. 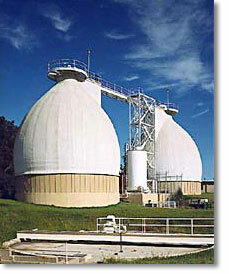 The Egg-Shaped Digester is one of the most efficient and cost-effective anaerobic systems for sludge treatment. Its double-curvature shape, small top liquid surface area and liquid mixing system help reduce scum, grit build-ups and dead zones. Thus, the vessel does not have to be taken out of service for cleaning. The ESD system also provides a smaller footprint, improved reliability, enhanced process control and reduced maintenance, all leading to reduced energy demand. With more than a century of experience serving the water industry, we have the expertise to design and build ESD systems that meet specific customer requirements. We’ve delivered digesters that accommodate a variety of capacity needs, geographic and climactic situations, space limitations and aesthetic concerns. And our true EPC approach means our customers receive the results they expect, on time and on budget.